Dmitry graduated from the Department of Mechanics and Mathematics of Moscow State University in 1998, where he also obtained his Candidate of Sciences degree in 2002. Later on, he worked at the Institute for Information Transmission Problems (IITP), Dublin Institute for Advanced Studies, and Munich University. In 2015, he obtained his Doctor of Sciences degree from IITP. 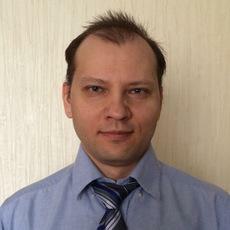 Dmitry’s interests cover a wide range of topics in Applied Mathematics. He started his research career with studies of stochastic processes and quantum lattice systems, gradually shifting to topics related to engineering, data analysis, and optimization. You can find more details about his research on his personal web page http://yarotsky.info/.